Post news Report RSS	Operation Market Garden Beta Launches! Three days after our originally scheduled launch date, the OMG Mod team is proud to present you with our first public release! 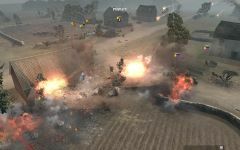 Operation Market Garden is a Persistency modification for Company of Heroes & Company of Heroes: Opposing Fronts. 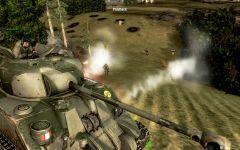 This release includes all 4 factions (British, Panzer Elite, American, Werhmacht) fighting battles in a persistent environment where every kill your squads get makes them better (If they survive the battle! What you get in this BETA! Persistency: Every kill your troops get on the battlefield gives them more experience and makes them better for the next battle - Every win comes at the cost of squads you've grown to rely on from previous engagements! Fully functional WarCP that will let you build companies, buy upgrades, etc. 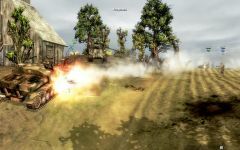 New Features like Halftrack Loading, Paradropping Fallschrimjaegers, Weapons able to garrison emplacements, etc. DOCTRINES - While some doctrine UNITS are in, the complete doctrine system has over 600 unique abilities, many with multiple levels, so will take a while for Bonte & Marcus to get them in - We estimate 4-6 weeks for full implementation but we may roll them out a tier at a time i.e. week 2: All T1s Week 3 All T2s, etc. Gone is my one hour ahead! Hey guys, when we can expect ToW-patch compatible version? We've fixed it to be TOV compatible already.